Admissions to top global universities are not just a matter of good academics; they are also about having a great score on the SAT. GyanOne’s premium SATOne™ program is focused on helping students master all three components of the SAT – Math, Critical Reading, and Writing. 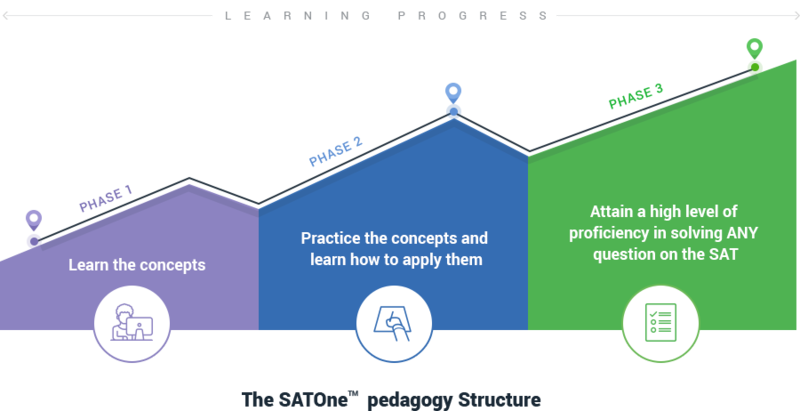 Our expert faculty and comprehensive course material ensure that students are able to perfect all three stages of the SATOne™ learning process. Learn: In this stage, students go over the basics of all course topics, learning concepts in detail and cementing them through on the spot practice exercises. The learning stage equips students with all the skills and tools that they will need to tackle any problem on the SAT test. Practice:In the second stage, we provide extensive practice on different concepts, graduating from easy to very hard questions. 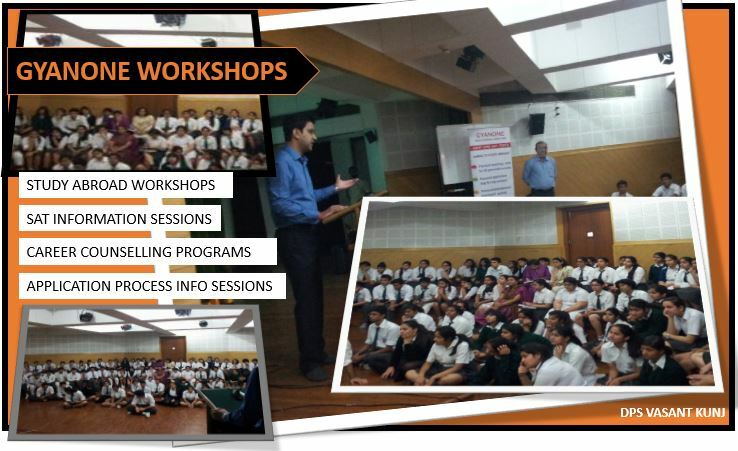 The questions at each level have been specially developed by us to ensure graded learning and comprehensive familiarity with each and every topic covered. Master: The final stage of preparation involves students learning better time management, developing test psychology and test stamina, and addressing their weak areas. In this stage, we also share little known tips and tricks that help students to improve their speed and accuracy. Stellar Results:Stellar results:Our students consistently score above 2100 on the SAT exam, and often above the much vaunted 2300 mark. Come experience our teaching for one demo class and see the difference. Highly Personalized:The SATOne™ program has a maximum class size of five for each teaching session. This ensures highly personalized attention for each student. Constant Guidance:We guide each student through different stages of the program to ensure that he/she is comfortable at every stage. We diagnose individual strengths and weaknesses early into the program and make the student aware of them, so we can systematically address them before the program ends. Taught by Expert Faculty: Each and every one of our faculty members has a postgraduate qualification from top schools, and a score of at least 2300/2400 on the SAT. Learn from the best to be the best. Comprehensive and Exhaustive: SATONE™ students need not consult scores of books and study materials to study for the SAT. We provide all material and resources in our integrated study package. Students need not waste time hunting for study material. Mock tests with detailed diagnosis:The SATOne™ program offers plenty of practice tests to students along with detailed diagnosis of each test. Students don’t just take tests. They improve with each test that they take too. Call us Today to Schedule a FREE Demo Class and Get Started! Q. How can one register for the SAT? How many times a year is the test held? Q. What is the duration of the SAT? How is it conducted? The duration of the test is 3 hours and 45 minutes. The test is paper based. Q. Who conducts the SAT? Q. What does the SAT measure?